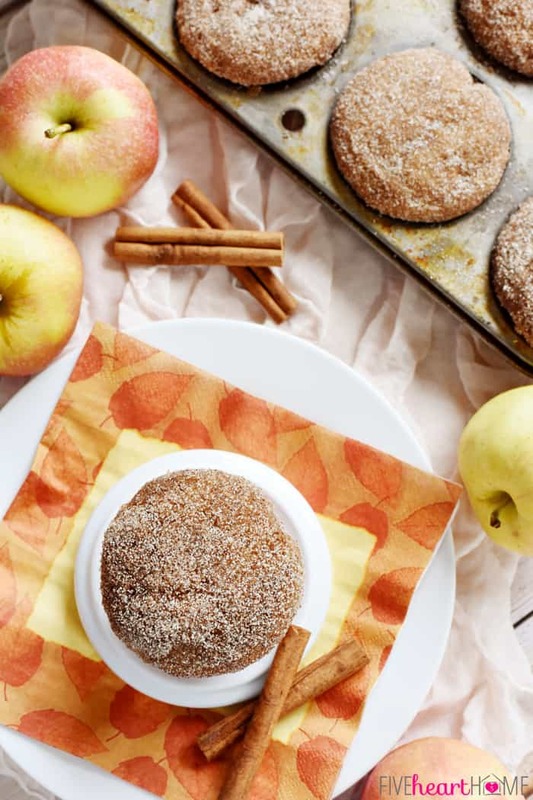 Whole Wheat Apple Cinnamon Muffins are bursting with tender apple chunks, coated with cinnamon sugar, and even include wholesome ingredients like whole wheat flour and coconut oil! Well, October is in full swing and this past week began to feel decidedly autumn-ish around here. So after a few days of temps not quite reaching 90°F, I no longer have to feel like a poser as I bake with pumpkin and simmer soups…fall recipes are finally legit! 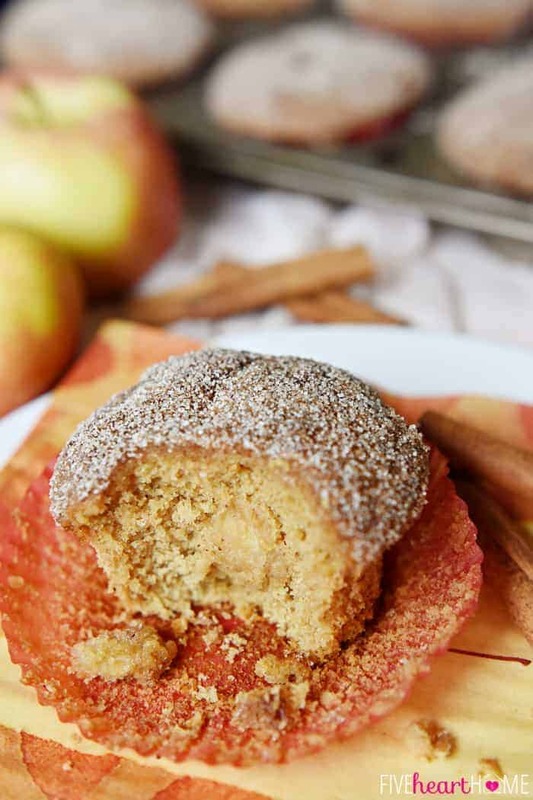 😉 And if you’ve been searching for the perfect muffin to celebrate fall (or enjoy all year long), look no further than these Whole Wheat Apple Cinnamon Muffins! Y’all. These things are good. 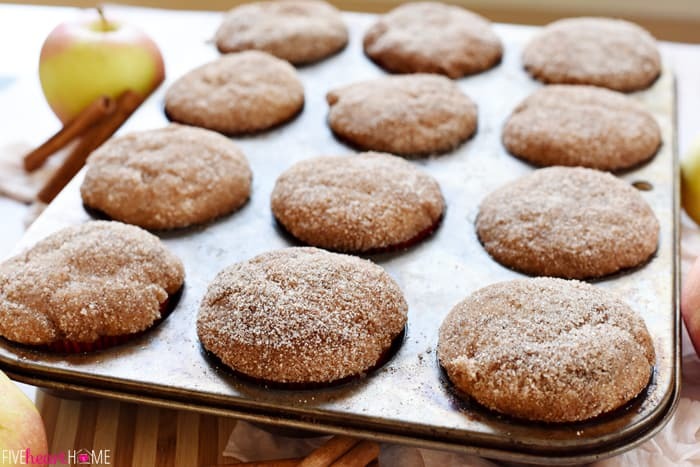 I adapted this recipe from my Whole Wheat Strawberry Muffins…and don’t tell my little strawberry muffin friends, but I think I may like this apple version even better! It’s hard to decide for sure…I suppose I’ll have to do a side-by-side comparison one day. But for now, suffice it to say that these Whole Wheat Apple Cinnamon Muffins are pretty darn irresistible. First off, these muffins are extremely moist and soft, thanks to the plethora of diced apples folded into the batter. I used Honeycrisps, because that’s what I had on hand, and I finely diced them. The apples turned pretty soft, almost melting into my muffins. If you prefer more noticeable chunks of apples in your muffins, cut them into larger pieces and/or use a variety of apple known for retaining its shape when baked, such as Granny Smith or Golden Delicious. Since they are rather on the wholesome side, with all of those apple chunks and coconut oil in addition to whole wheat, I decided to indulge in a teensy bit of decadence for the topping. 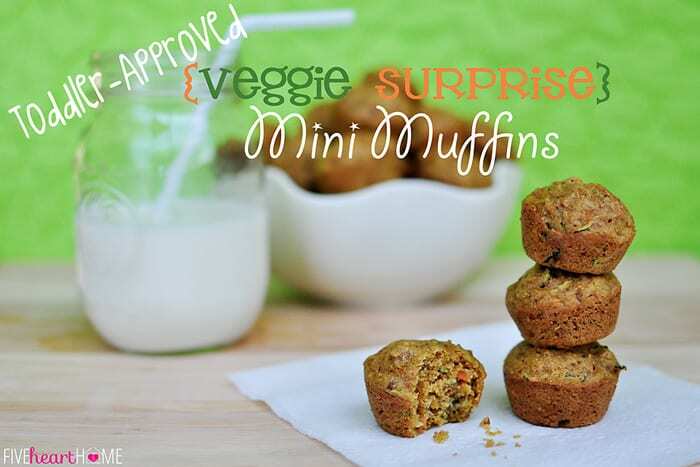 Now you could certainly enjoy these muffins perfectly plain. Or you could sprinkle them with sparkling sugar for a bit of crunch. You might even decide to top them with a streusel topping or a praline crumble, which is honestly what I intended to do when I first devised this recipe. However, as often happens, I was running short on time, and dipping the tops in melted butter before pressing them into cinnamon and sugar ended up being a quicker way to finish off these babies. And boy was I happy with that outcome! 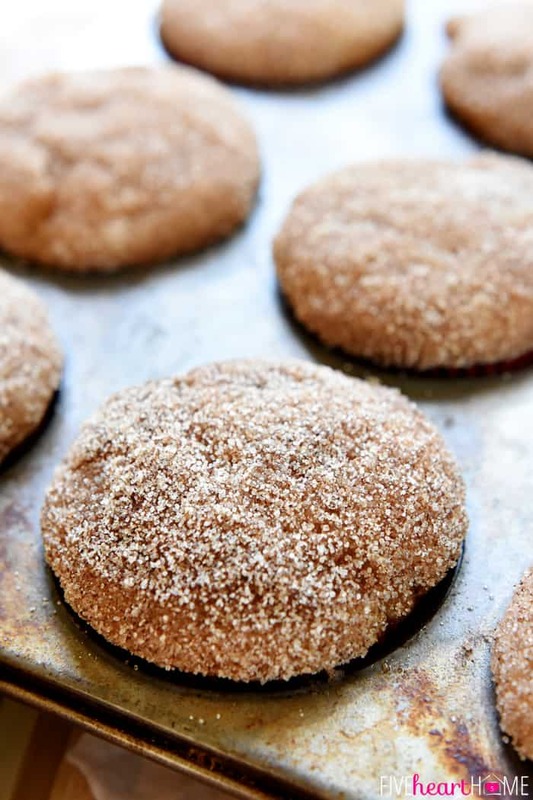 Because what could be a better complement to cinnamon-spiced muffins than a buttery, cinnamon-sugar coating on top? 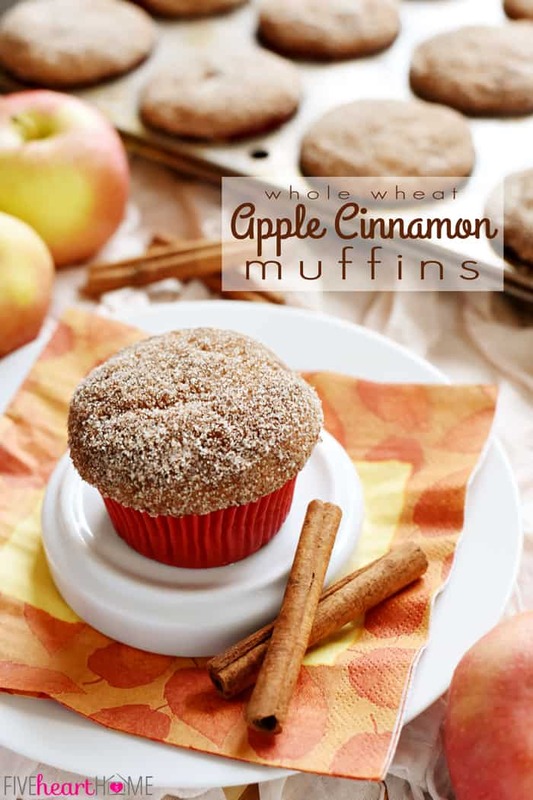 These Whole Wheat Apple Cinnamon Muffins are sure to be a hit with your family and — if they should be so lucky — friends. As they bake, your house will smell like a fall, and the texture and flavor of the fresh-from-the-oven muffins are even better than the aroma. So go ahead and make a double batch! I’ll venture a guess that they’ll be gone in no time. Preheat the oven to 350°F. Line muffin pans with paper liners. 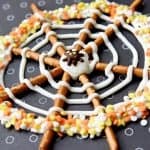 In a medium bowl, whisk together the flour, baking powder, cinnamon, and salt. In a large bowl, use an electric mixer to beat together the egg and sugar until thick and well-blended. Gradually mix in the coconut oil until incorporated, and then blend in the sour cream. Slowly mix half of the flour mixture into the wet ingredients, blend in milk, and then stir in remaining flour mixture until just combined. (Add a splash more milk if batter is too thick, but be careful not to add too much!) Gently fold the diced apples into the batter. Evenly divide batter between 12 to 15 muffin cups. Bake for 20 to 25 minutes or until muffins are light golden brown and a toothpick inserted in the center comes out clean. Allow muffins to cool in pans for a couple of minutes before removing them to a cooling rack. Once muffins are cool enough to handle (or you may wait until they're completely cool), pour melted butter into a bowl. Mix sugar and cinnamon together in another bowl. 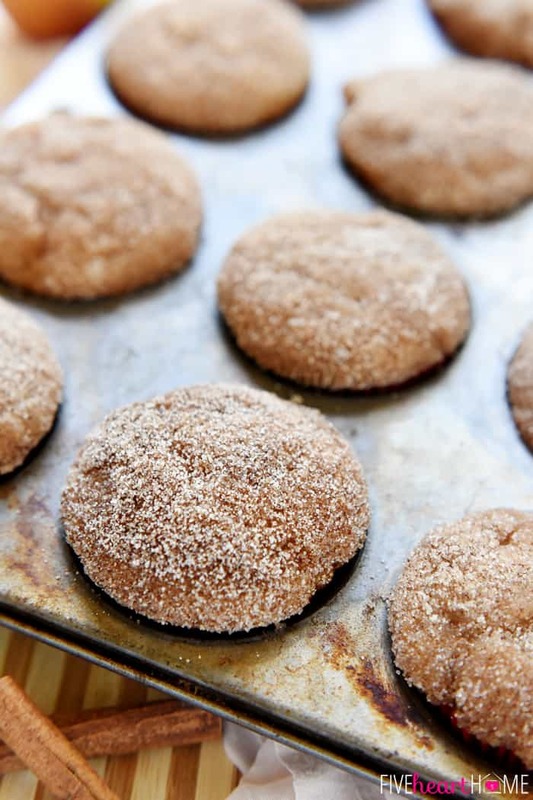 Dip the top of each muffin in butter and then press it into the cinnamon sugar mixture until generously coated. If you can't find whole wheat pastry flour, you may substitute 1 cup all-purpose white flour plus 1 cup whole wheat flour. Or you may use all white flour, if you wish. I leave the skin on my apples and dice them pretty finely. You may cut them in bigger chunks if you prefer. Any apples will work in these muffins, but some varieties will hold their shape better once baked. If desired, you may substitute melted butter for the coconut oil. 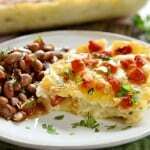 See our breakfast recipes <<< HERE! What gorgeous results! I’d love to include them in Muffin Tin Month! If you have a chance, see my post from Wednesday, which explains more about it. Delicious! I love the idea of the finely chopped apples, and thanks for the pointer on subbing for the pastry flour. I do have white and whole wheat already. Same applies for the Healthy Banana ones too, right? Thanks for such wonderful muffin recipes! And yes, the game was depressing…probably inevitable at some point this season, but depressing all the same. 😉 I just hope we can turn it around against Ole Miss this weekend! You did a great job of making these look light and fluffy, being whole wheat and all! Pinning! Thanks so much, Amber, and I appreciate the pin! You know, by using whole wheat pastry flour, these muffins actually are pretty light and fluffy. That’s why I’m such a fan of that stuff! 😉 Hope you’re having a great week…thanks so much for stopping by! These look amazing. They remind me of cinnamon whole wheat toast. Such a comfort food! Big Hit!!!! Thanks for sharing!!! The recipe sounded so good that I decided to doubled the recipe so I could freeze some. So glad I did!!!! 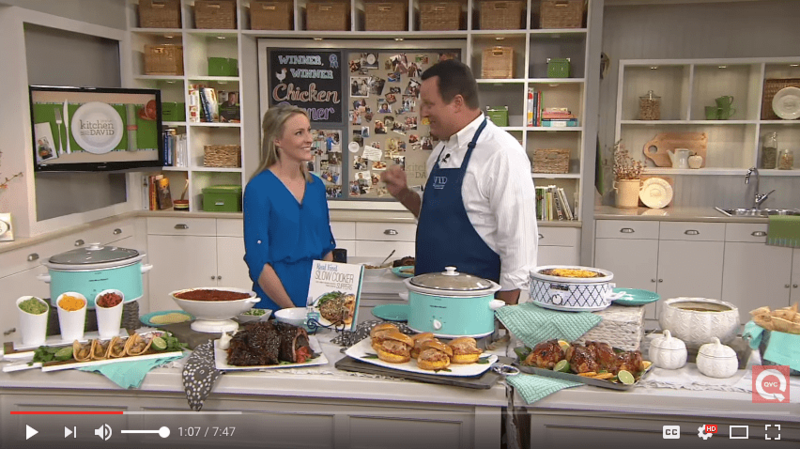 Yay…I’m so happy to hear that y’all enjoyed these, Jennifer! And doubling this recipe is definitely the way to go…they just disappear too fast otherwise. 😉 Thanks for stopping back by to let me know that these muffins were a hit. Hope you have a great rest of the week! Our temps are floating about 65 to 70. Perfect for doing things outside. Albeit I enjoyed a couple of hours outside merely lolling on my deck admiring my garden, drinking ice coffee and reading a book. Not a whole lot of ‘doing’ was going on. I loved it. Just like I love these muffins. Whole wheat to make me feel righteous and apple to not only to make me feel righteous and healthy, but fruit makes bakery items soooo moist. Of course it doesn’t hurt you have the sour cream to increase that aspect. 65 to 70 does sound perfect, Carol! 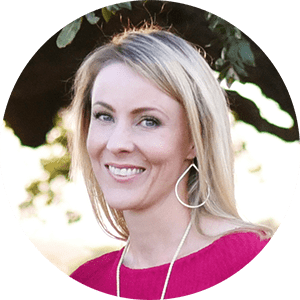 I think you’re smart to take advantage of those ideal temps to get some garden-admiring, iced coffee-drinking, and book-reading done on your deck before the weather turns too chilly. 😉 And I do hope you enjoy these muffins! You’re so right…they derive their moisture from several different ingredients which I think makes them extra yummy! I would like your camera, and your photography skills, and your kitchen…maybe I should just come over for a muffin! These look amazing! Ha, Meaghan…that made me laugh! And blush…thank you. 🙂 I’d love to have you over for a muffin anytime! These look delicious! Thanks for sharing! Pinning! I love these muffins, just wondering about one possible tweak. The sour cream does give them a little bit of a sourdough type taste. Is there something else I could us? Applesauce or maybe use more coconut oil and less sour cream? I’d love to hear your suggestions. Great website, will be sharing lots from it! Hi Jill! I apologize for my delay in getting back to you…I got a little behind on replying to comments! I have not experimented with substituting another ingredient for the sour cream in this particular recipe, but in other recipes I’ve used yogurt in place of sour cream with success. I’m not sure if yogurt would still be too ‘sour’ for you, however, and doing so may alter the texture of the muffins. If you wanted to experiment, you could definitely try some of the other combos you suggested…subbing applesauce or additional coconut oil or yogurt for part of the sour cream, or replacing some of the sour cream with milk. I would just watch the consistency of the batter and adjust amounts accordingly. And again, the texture of the muffins may change if you start altering ingredients like that, but I bet they’d still be tasty. 😉 Good luck and let me know how things turn out if you decide to try any changes! Alright you have me curious now on Whole Wheat Pastry Flour! I’ve been using White Whole Wheat Flour and it has the same texture as whole wheat flour which is a little different. 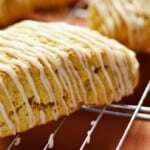 Definitely trying these and love the cinnamon sugar topping! Pinned girl! Thanks for stopping by and for the pin, Krista! And oh my goodness, YES! You must try whole wheat pastry flour soon! I love white whole wheat flour as well when I bake bread and yeast rolls, etc. But for quick breads, pancakes, and waffles (even cakes and cookies if you’re aiming for 100% whole wheat), whole wheat pastry flour is the way to go! Let me know what you think if you try it. I rarely use white flour anymore when I bake for my kids, unless it’s a birthday cake or something special occasion-ish. 🙂 Have a great weekend! Thanks, Anne…my family definitely thinks these muffins are yummy. 🙂 Hope you have a chance to try them soon! I love these I have recently switched my household to all wheat flour based breads and organic healthy eating. 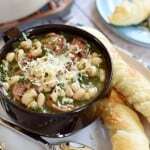 This recipe is something I’ll be using over and over again. I used almond milk instead of regular milk and tasted great still. 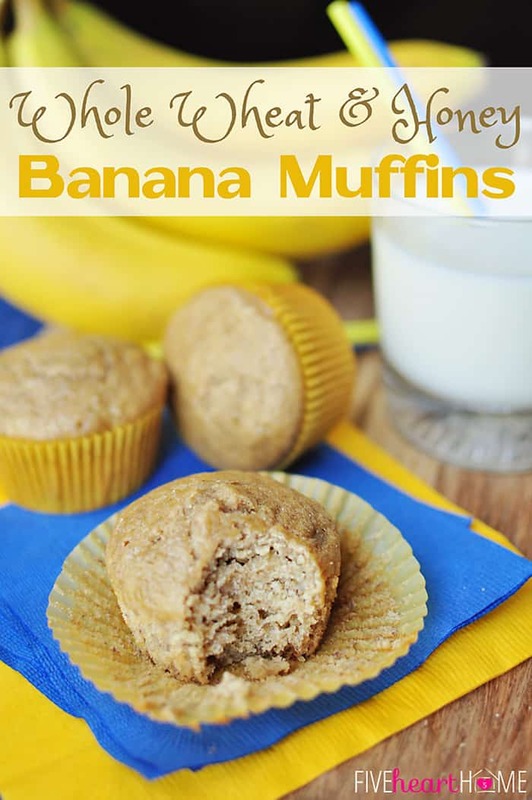 Your banana muffins and others are great as well too. 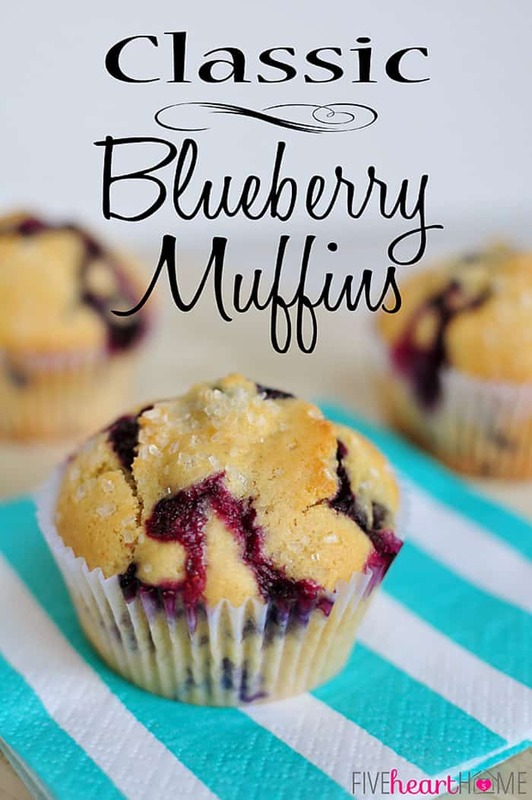 Thank you for this healthy spin on muffins. Definitely will be keeping your site bookmarked for future recipes!! Thanks so much for the sweet comment, Lynnette! I’m so happy to hear that you’re enjoying some of my muffin recipes, and I hope you find some other recipes to try as well. Have a great weekend! WOW! 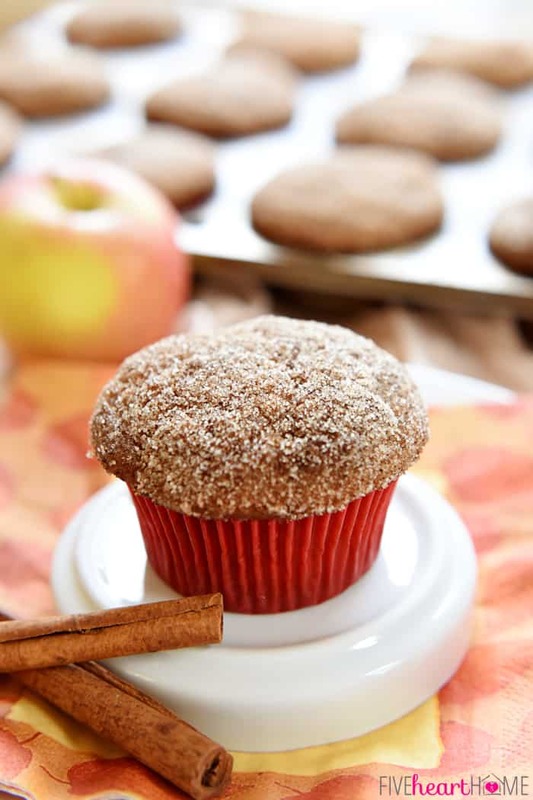 We made a trip to the orchard just to get the perfect apples for these muffins. 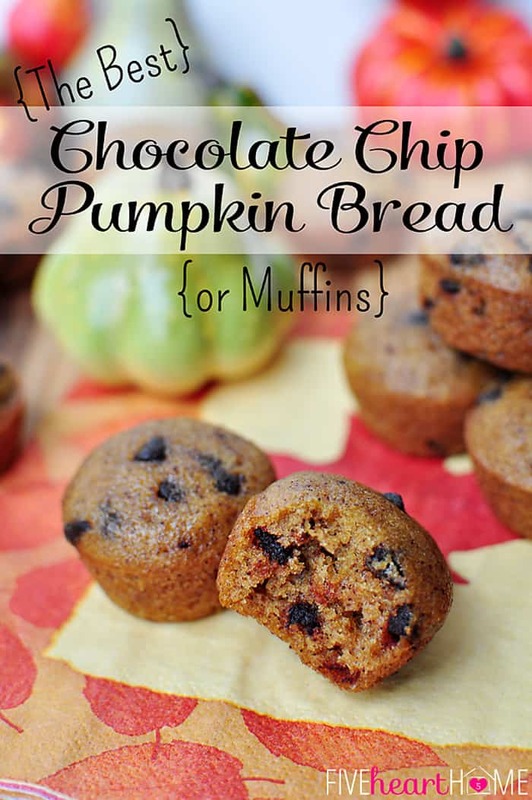 Had a wonderful time making these with the kids and the muffins turned out AH-MAzing! Thank you for another great recipe. Trying your cream cheese coffee cake for Sunday school this weekend! Has anyone tried subbing the brown sugar for maple syrup or honey? I would love to hear about a substitution like that. Wow!!! These muffins taste even better than they look! 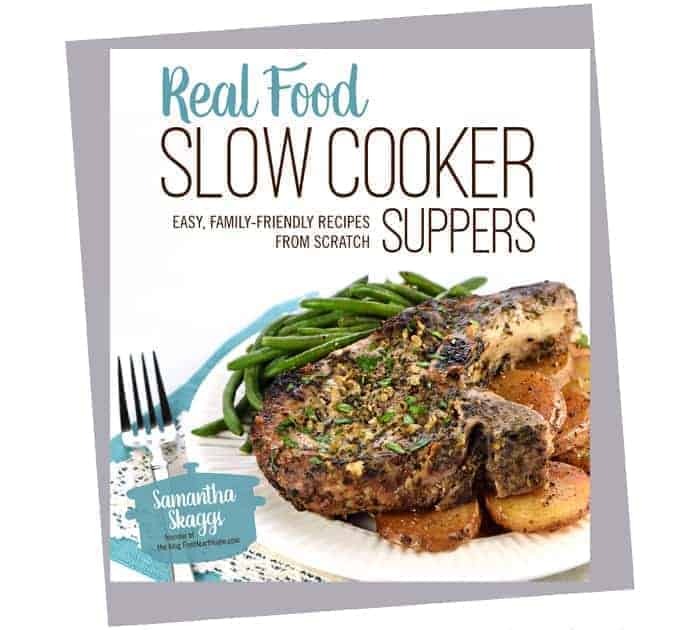 I did not have sour cream so I substituted with buttermilk and butter, and I substituted coconut oil for grapeseed oil. I was skeptical how it would turn out but they are so addicting and the melted butter on top tastes sooo good when warm. New favourite muffin recipe!!! !